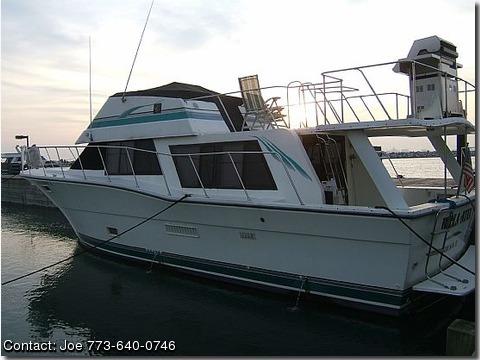 aft shower, 6 bilge pumps, 3 ac units, generator 7.5 kohler, shower/ tub combo, 3 batteries, freezer, recent surveyed, dual stations, great live aboard. Vhf, depth/ temp/ speed, fish finder. 2 staterooms refrigerator and seperate freezer. Stereo, wide walkaround deck Full upper deck with seating.